Why You Need Written Records For Your Commercial Janitorial Cleaning Company - American Cleaning Services. Inc. Although you may detest paperwork, it is very important to make sure that you have access to forms that are important to your job. Even if you have a great relationship with your customer, you want to make sure that you have a very formal accounting so that you will be able to have all of the records that are necessary when you need them. That means that you want to have an accounting of all payments as well as all services rendered and the dates they were rendered. When there is a possibility that you could be injured or have a problem in the future, it is very important to make sure that you have a repository of information so that others will be able to have access to all of the information that is necessary to deal with the issues in the event that you are recovering. As the saying goes that the weakest link is better than the best memory. The reason for this is that you will have a record of all of the transactions and all of the details that happen in the company so that you will be able to know that you are able to have access to the best records, for your New Jersey commercial janitorial cleaning company. Although no one wants to have a lot of paperwork to do, it is important to remember that you need to document everything in written form that is a part of the process of complaints as well as something that is a record for the future. If something happens that you are injured or you take a promotion, you need to make sure that you are able to have a record of all of the details that are important to your company. As the old saying goes, if it is not in writing it never happened. The main reason that the memory system was replaced many years ago by most companies is that it is possible to get hurt and that means that you need to make sure that you have the inspections and the agreements that you will be able to share with your entire staff. You need to make sure that you are able to have records as well of inspections, cleanings, and also communications with employees. By having access to all of these records, you will be able to know that you are able to know that you are able to be backed up. You have to make sure that you are covering all of the important aspects of your cleaning company with the correct documentation for your business. When you are working in a large location, there are accidents that happen all the time. In the event that there is an injury or other problems, you need to make sure that you are able to account for everything that will bring you the success of your business. You need to make sure that you are being vigilant and that you are working to make sure to protect your business and you need to make sure that you are protecting your investment. Make sure that you put a system in place so that you will be able to have access to the best options for your business and make sure that you have a very detailed process of documenting all. 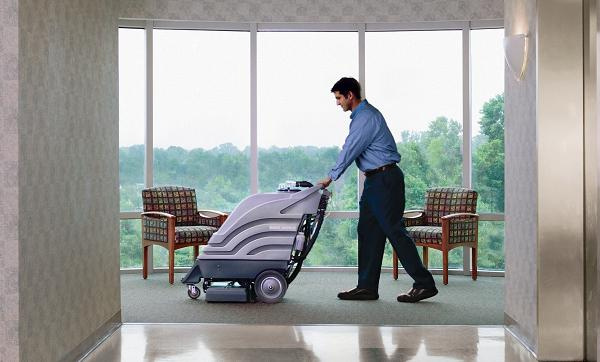 You need the help of other commercial janitorial cleaning in New Jersey so that you will be able to work together with systems that are effective and that will allow you to be successful for many years to come.